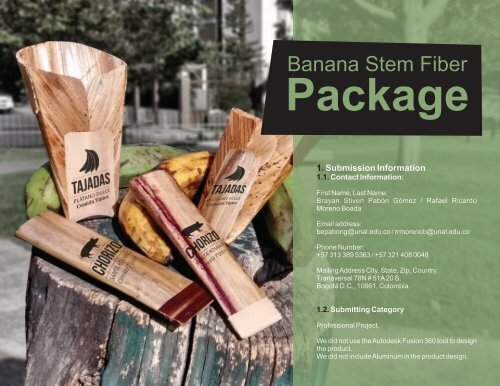 Banana Stem Fiber Package 1. Submission Information 1.1. Contact Information: First Name, Last Name: Brayan Stiven Pabón Gómez / Rafael Ricardo Moreno Boada Email address: bepabong@unal.edu.co / rrmorenob@unal.edu.co Phone Number: +57 313 389 5363 / +57 321 408 0048 Mailing Address City, State, Zip, Country: Transversal 78N # 51A 20 S. Bogotá D.C., 10861, Colombia. 1.2.  Submitting Category Professional Project. We did not use the Autodesk Fusion 360 tool to design the product. We did not include Aluminum in the product design. Page 2 and 3: 2. Product Description and Image 2.